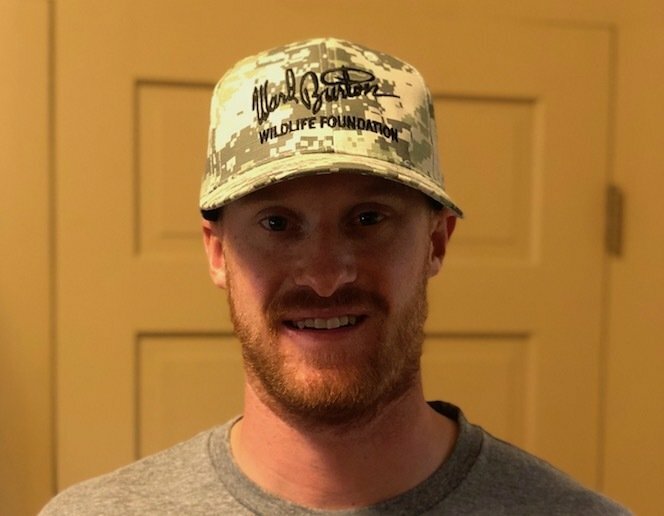 This hat was designed and made by Pacific Headwear for The Ward Burton Wildlife Foundation. It has adjustable velcro closing in the back. Cap is 4.1 inches wide X 2.1 inches tall.